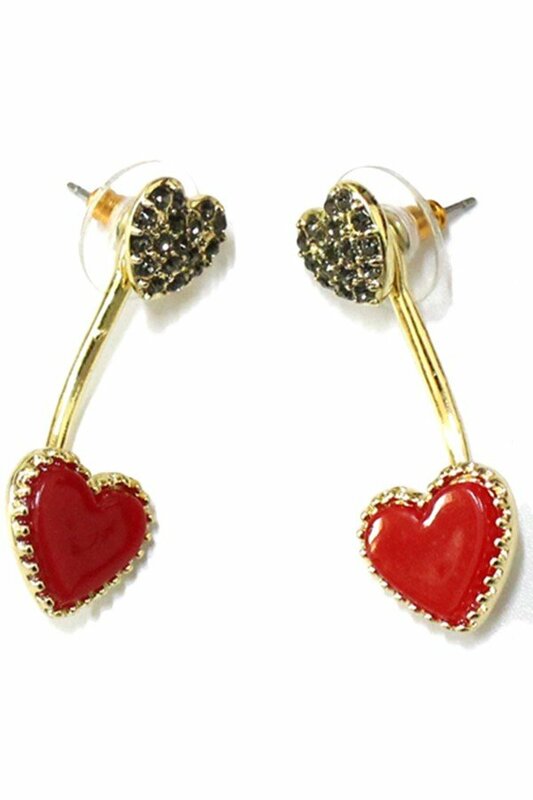 Description: Pave and epoxy heart ear jackets. Post back. Approx. length 1.25".